HP announced storage capacity eventually going up to 2TB via an SD card slot in its upcoming Elite X3, while Samsung said its Galaxy S7 and S7 Edge will support a storage capacity of up to 200GB. Samsung's previous Galaxy S6 handset didn't have an SD card slot, and capacity was limited to 128GB of internal flash storage. The speed and storage capacity of SD cards in smartphones also depends on the slot controller. Many slots in low-cost devices won't be compatible with higher-capacity cards. 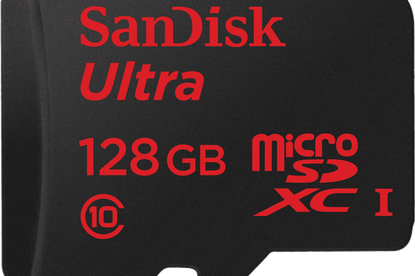 Unfortunately, the capacity of SD cards can't exceed 2TB due to limitations in the Microsoft ExFAT file system, Kumagai said.